Merlin the greatest of all wizards who has been kept captive within an oak tree for a thousand years has managed to secretly and magically create this book. 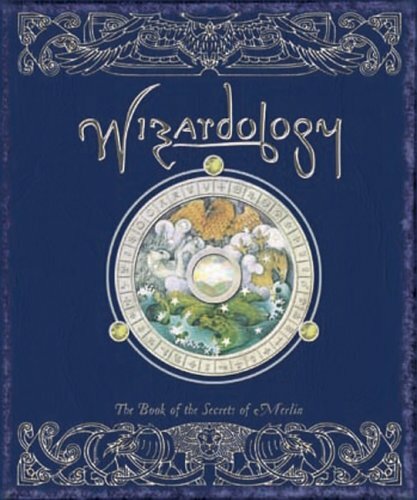 His hope is that someone will find the book and will have the will and the courage to take on the challenge of becoming Merlin’s apprentice in the art of wizardology. Several people have found the book over the years but no one, as yet, has taken it seriously until now. Within the pages of the book potential apprentices will find everything that they ever could, or would, want to know about wizards, their history, their skills, and their spells. Clearly one must be very careful before one attempts any magic for the potential for things to go wrong is enormous. Apprentices have much to learn and they may find the job ahead of them daunting. They also have to keep in mind that a true wizard only uses his magic to help others in need and not for personal gain. With this in mind readers are advised to think very carefully before they proceed with their education in wizardology. Packed with an enormous amount of information, with spells to chant, with tasks to complete, and with lavish and detailed artwork, this is a book which will keep readers of all ages busy for hours. Pages fold out, there are envelopes to open, tabs to pull, little booklets to read, flaps to lift, and much more. Indeed this large volume may take days and days to fully and properly explore. Continuing in the tradition of the highly popular books "Dragonology" and "Egyptology," this new "ology" title is sure to delight readers who have a taste for the fantastical and the magical.